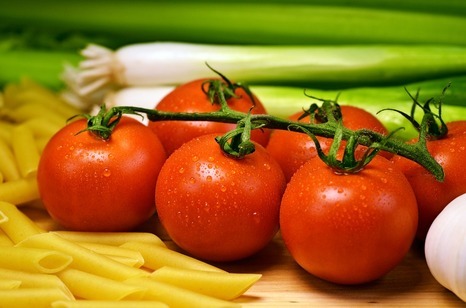 Tomatoes are one of the low-calorie vegetables containing just 18 calories per 100 g. They are also very low in any fat contents and have zero cholesterol levels. Nonetheless, they are excellent sources of antioxidants, dietary fiber, minerals, and vitamins. Because of their all-round qualities, dieticians and nutritionists often recommend them to be included in cholesterol controlling and weight reduction programs. The antioxidants present in tomatoes are scientifically found to be protective of cancers, including colon, prostate, breast, endometrial, lung, and pancreatic tumors. 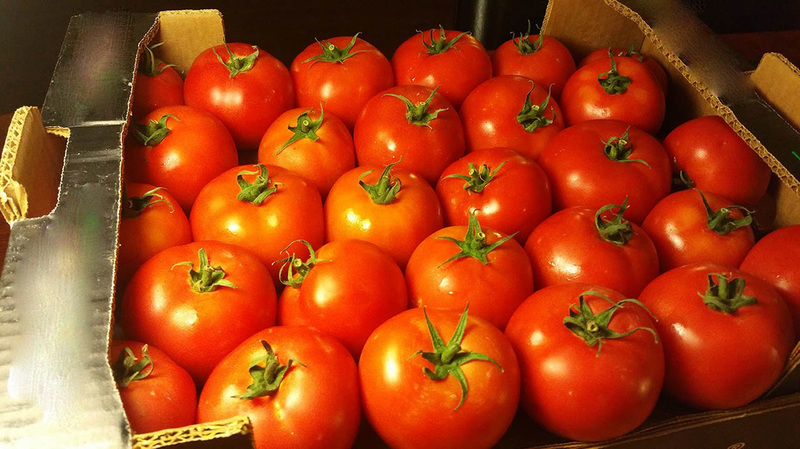 Total -ORAC (Oxygen Radical Absorbance Capacity) in this vegetable is 367 µmol TE/100 g.
Lycopene, a flavonoid antioxidant, is the unique phytochemical present in the tomatoes. Red varieties are especially concentrated in this antioxidant. Together with carotenoids, it can protect cells and other structures in the body from harmful oxygen-free radicals. Studies have shown that lycopene prevents skin damage from ultra-violet (UV) rays and offers protection from skin cancer. Zea-xanthin is another flavonoid compound present abundantly in this vegetable. Zea-xanthin helps protect eyes from "age-related macular related macular disease" (ARMD) in the elderly persons by filtering harmful ultra-violet rays. The vegetable contains very good levels of vitamin A, and flavonoid anti-oxidants such as α and ß-carotenes, xanthins and lutein. Altogether, these pigment compounds are found to have antioxidant properties and take part in vision, maintain healthy mucus membranes and skin, and bone health. Consumption of natural vegetables and fruits rich in flavonoids is known to help protect from lung and oral cavity cancers. Additionally, they are also good source of antioxidant vitamin-C (provide 21% of recommended daily levels per 100 g); consumption of foods rich in vitamin C helps the body develop resistance against infectious agents and scavenge harmful free radicals. Fresh tomato is very rich in potassium. 100 g contain 237 mg of potassium and just 5 mg of sodium. Potassium is an important component of cell and body fluids that helps controlling heart rate and blood pressure caused by sodium.